All in all, you have a great card here. ok 1-I am NOT Cheif lol But he is a close friend of mine for about 10 years. That also caused me to end up changing my idea for the Main even which originally was going to Draft Sherri martel and do Savage and Hbk with both Liz and Sherri's hair on the line. As for the Midget Tossing event The Midgets would be drunk because according to the late Roddy Piper they roll better when they are drunk. The best part about your card is the sheer amount of creativity that pours out of it, besides the HBK vs. Pillman Ladder match of course. Great match up, what also counts for the Main Event. 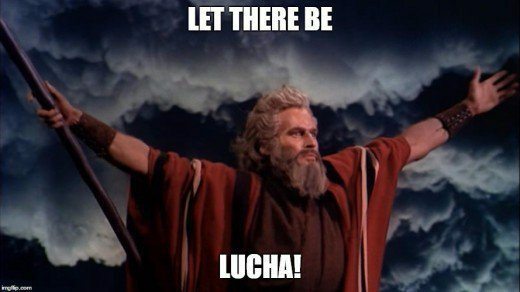 Nice idea for the Luchas de Apuestas match. The midget tossing competition is just awesome. Maybe I would have liked it even more, with another "strongman" gimmick as Henry's opponent, but André is alright for it. Steiner and Graham is also an interesting idea, although probably nobody in the world would assume, that this isn't going into the Steel Cage. Ventura as Guest Referee and judge is a great touch. Douglas vs. Sammartino on the other hand isn't really doing it for me. Wahoo vs. Attakullakulla gets you some extra points from me, just because it's a damn Indian Strap Match and for going that far out there with this Chief Attakullakulla. Last but not least, there is Taz and Shamrock against Saito and Sakuraba, which is simply sweet. Especially Taz and Shamrock in a Tag Team...I would want to see that at least once. 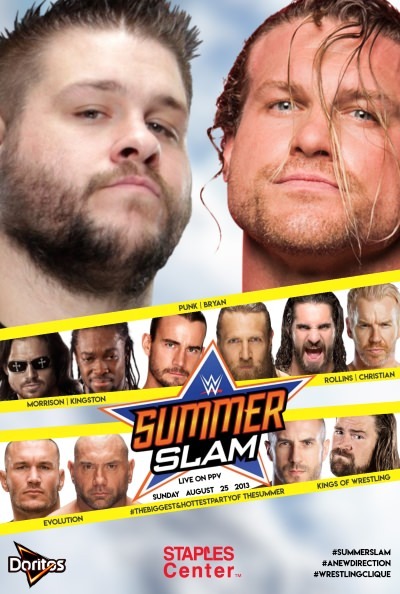 Yeah like I said I initially had Shane vs Pillman but was forced to improvise when I realized I'd done it in a previous Ticket Wars so I had to improvise it was either put him against Bruno or against Larry Zbyzsko. Definitely an interesting card Flock. The main event stands out as I'm a huge fan of Warrior and Savage. The fact that you would dare put Elizabeth's hair on the line is despicable!!! Jimmy needs to get shaved for sure!! Midget tossing contest!!! Haha!! That's definitely a creative idea. I hate that you took Andre as he was set to be my choice to go up against Orton, hence why I picked the next big guy of the past in Yokozuna instead. Not sure if Henry is the best 'dream' counterpart for someone like Andre though, but it does make sense in regard to the type of match they are having. Height and size against pure strength. The posedown/arm wrestling/cage match is another wacky idea on the show. You've gimmicked the show well. I'll admit it was something I was afraid of overdoing myself. Would be nice to know who the heels and faces are of each contest. But yeah, the cage match defintiely goes down, Ventura will make sure of that. How did you not know you already done Pillman/Douglas. Shame really as I probably would have prefereed Michaels/Savage and Pillman/Douglas. 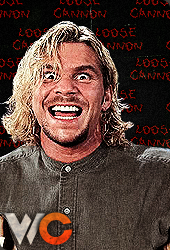 But Pillman/Michaels is match of the night without a doubt. Like Kilik I know nothing of McDaniel or Attakullakulla so I can't really judge on it. Taz is one of my all time faves so you got me with his match without even telling me who else is involved. Do think a singles match for The Suplex Machine would have been more unique though, plenty of guys he hasn't gone up against. Finally Douglas and Sammartino. Sammartino's reputation tells it's own story and Douglas has always been a great mic and ring worker. I'd expect this to be a good match with Sammartino coming out on top. I'd say you got the card with the most guys I know nothing about, but that's not always a bad thing. Michaels/Pillman and the main event would be the highlights with the two side attraction matches adding to the spectacle. Good job mate. Well for a little history Wahoo McDaniel was one of the biggest starts of the Territory Days. He was a star in the NFL for the Jets then got into professional wrestling where he drew a lot of money in almost every territory he worked in. He was a star in the Carolinas and in the AWA most noteably. It was actually him that got Ric Flair hired by Jim Crockett Promotions. Cheif is a long time veteran of Pro Wrestling and a close personal friend of me and my wife. When I first got into the business doing ring crew and security and all the grunt work he befriended me and that friendship continues to this day He mostly works in Puerto Rico now where he is feuding with Savio Vega currently. He also worked for the Rock's Grandma in Hawaii for a little while when he first started. Nice guy and a real badass in the ring. As for me forgetting about Shane/Pillman I've actually been having some real memory issues and suffering from routine migraines for about 2 months now. I'm currently awaiting some test results from a specialist to hopefully see exactly what is wrong with me.